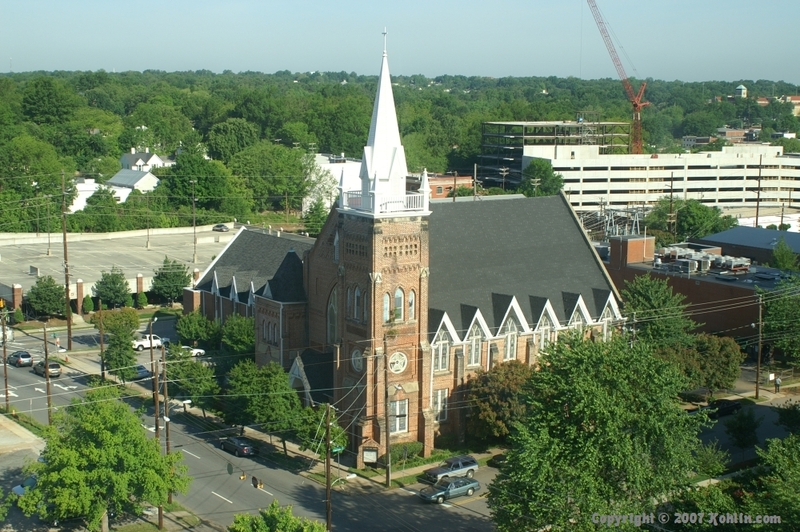 Our trip continued up to North Carolina, and we spent the evening in Raleigh. 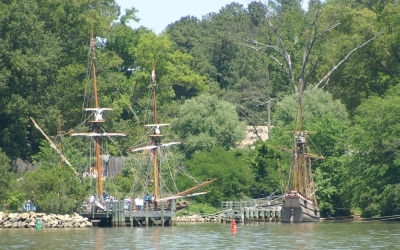 This is the view out our hotel window. 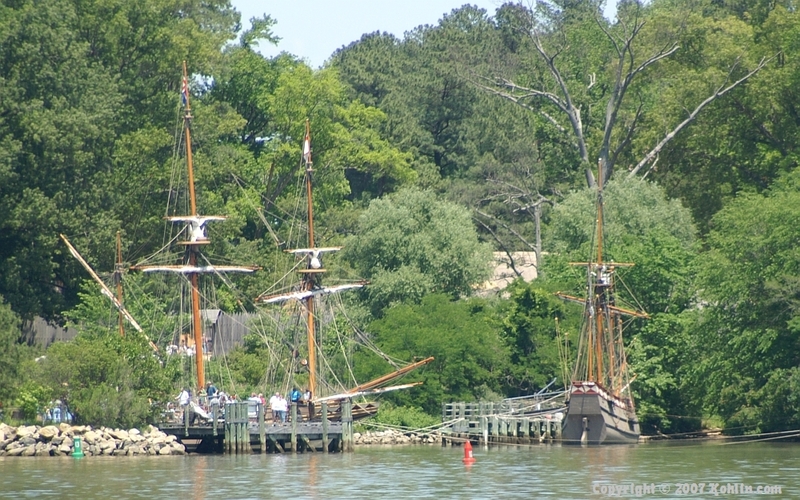 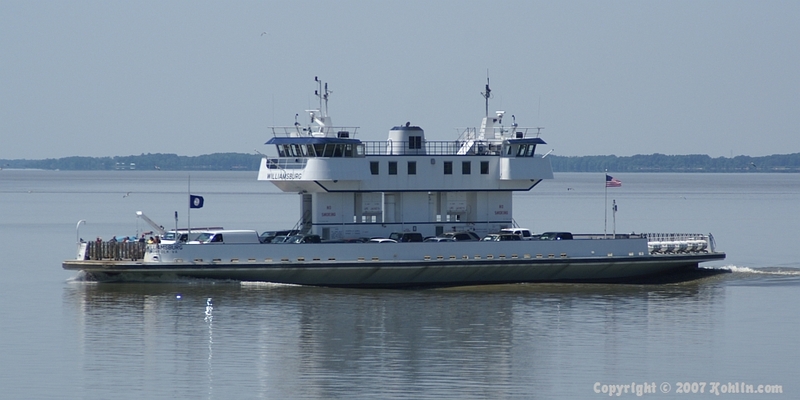 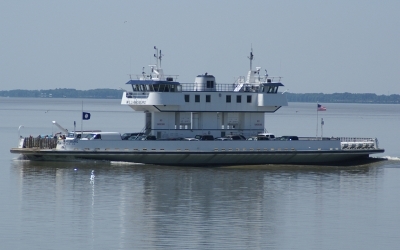 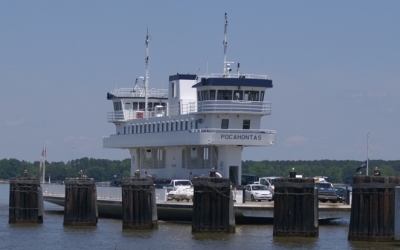 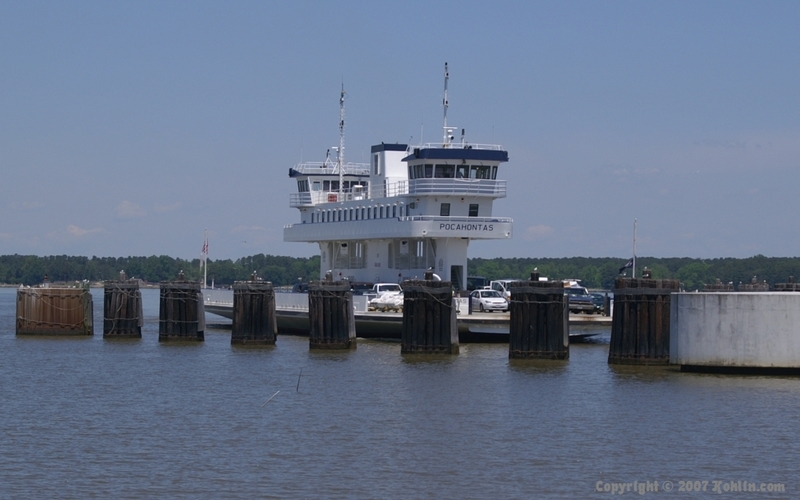 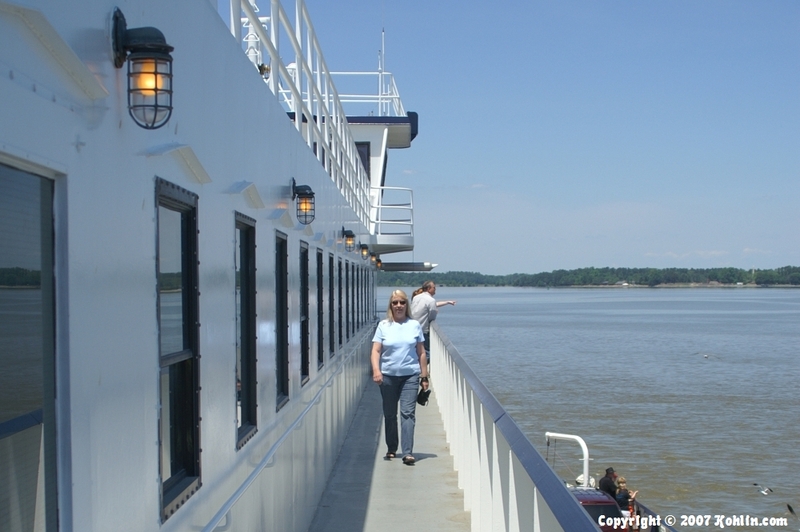 We drove north and finally arrived at the James River, where we took this ferryboat across to Jamestown. 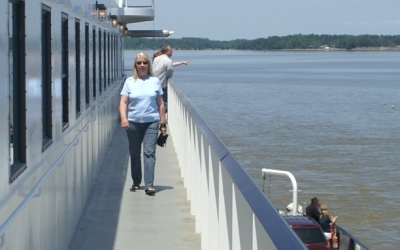 Anita takes a stroll around the upper deck. 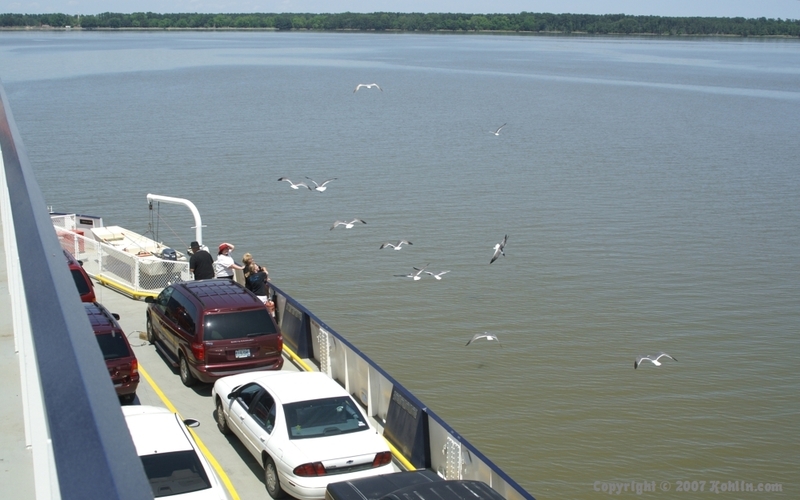 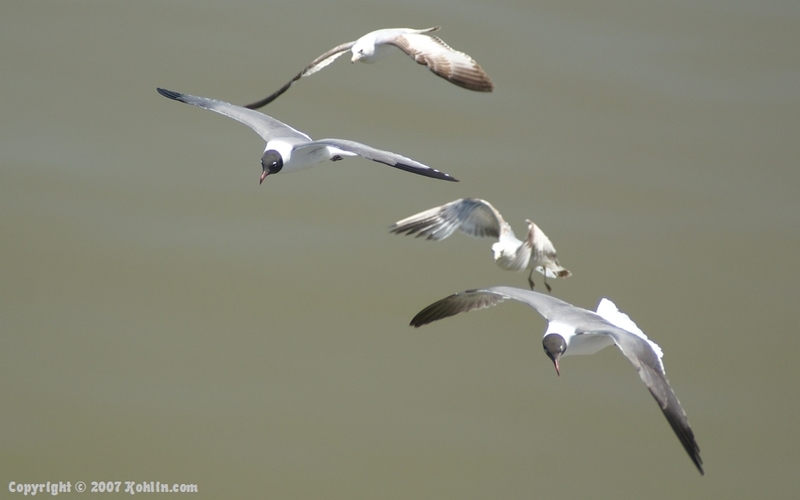 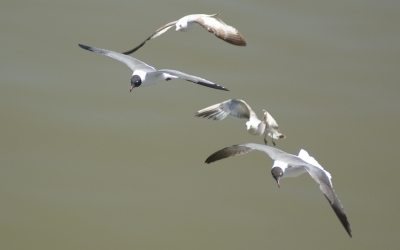 A flock of gulls followed the boat across... these ladies were feeding them their kid's sandwiches. 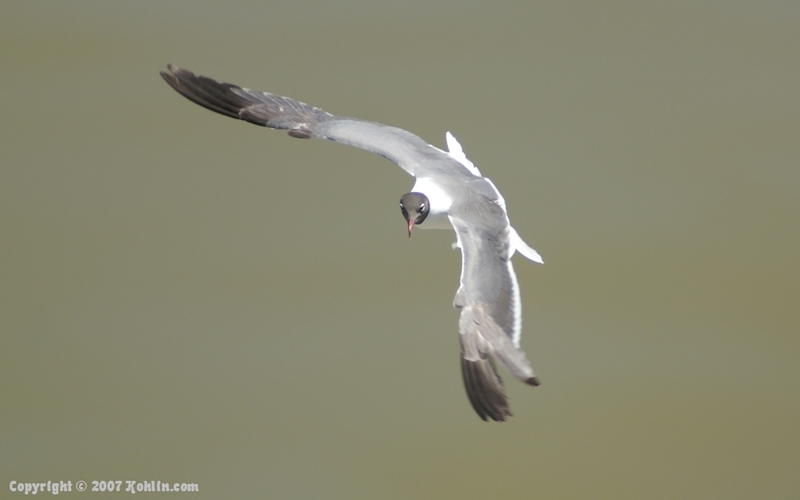 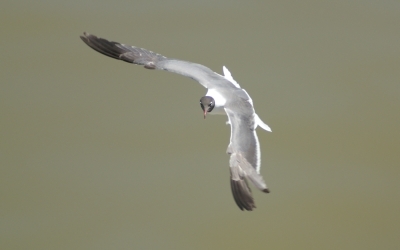 This one banked in toward me, hoping for another handout. 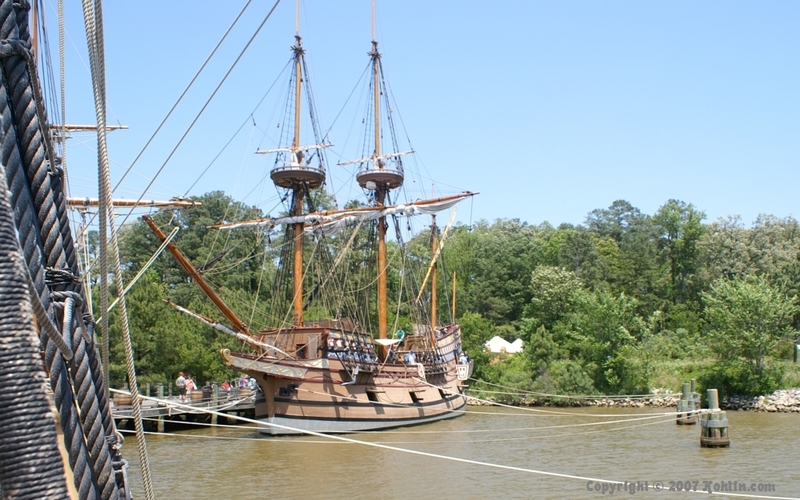 About halfway across we met this boat, our counterpart. Jamestown, as seen from the ferry. 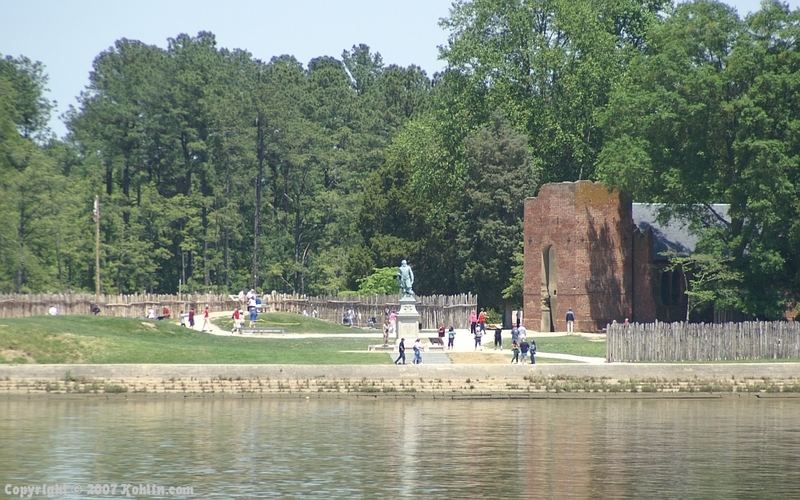 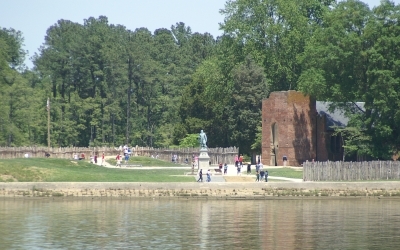 On Tuesday we visited the National Park at Jamestown. 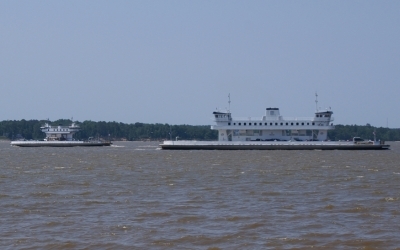 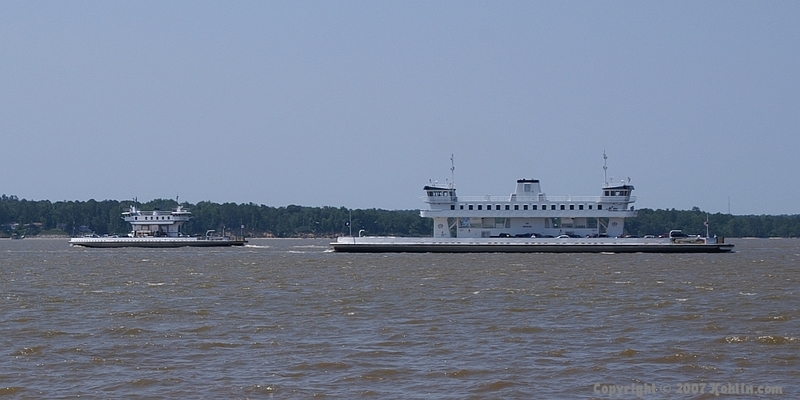 Here we see the Ferry boats meeting in mid-river. 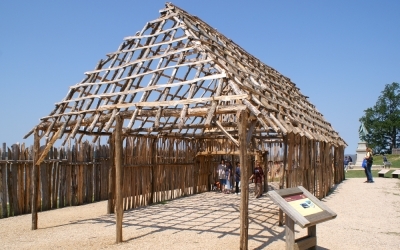 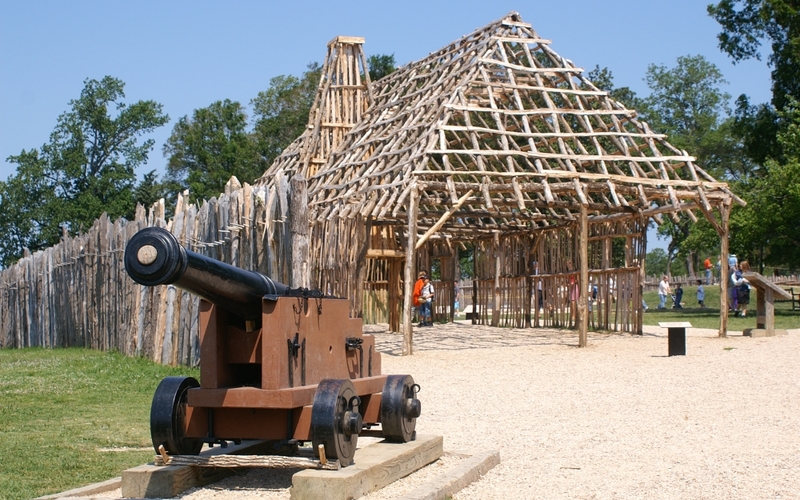 A partially completed building demonstrates early construction methods in the New World. A cannon provides protection from attack. 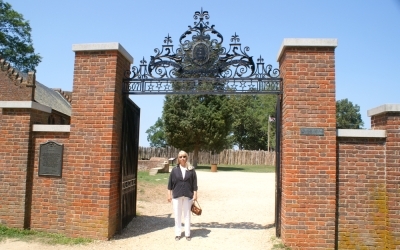 Anita at the gate to the fort area. 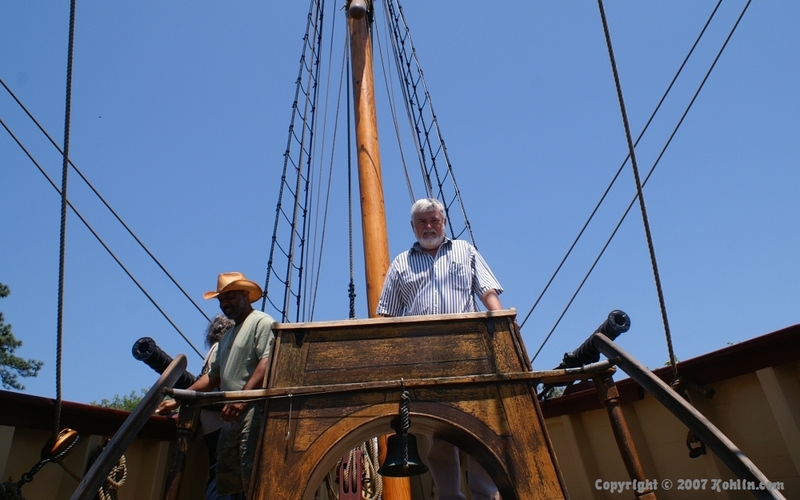 Anita on one of the replica ships. 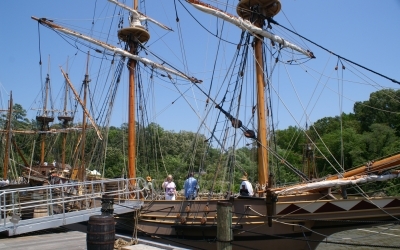 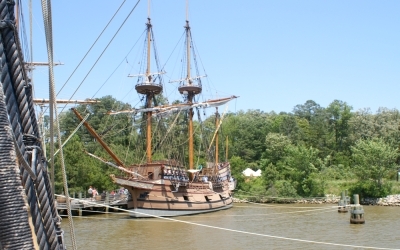 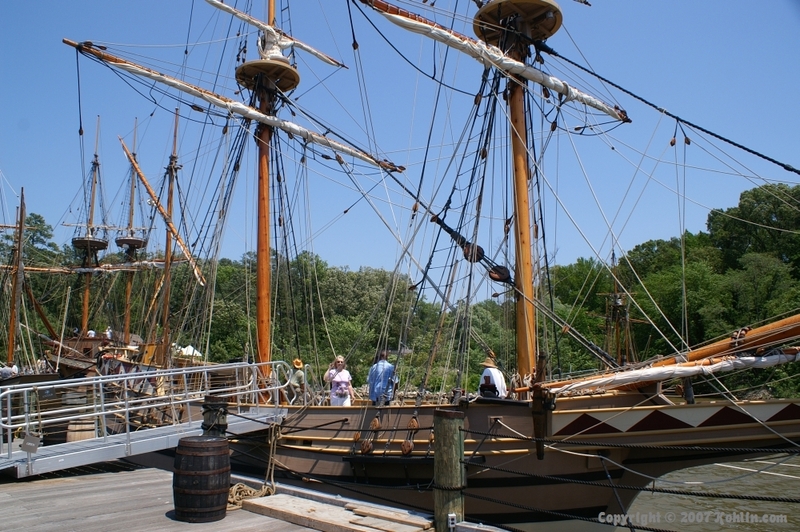 The largest of the three Replica ships in the harbor. 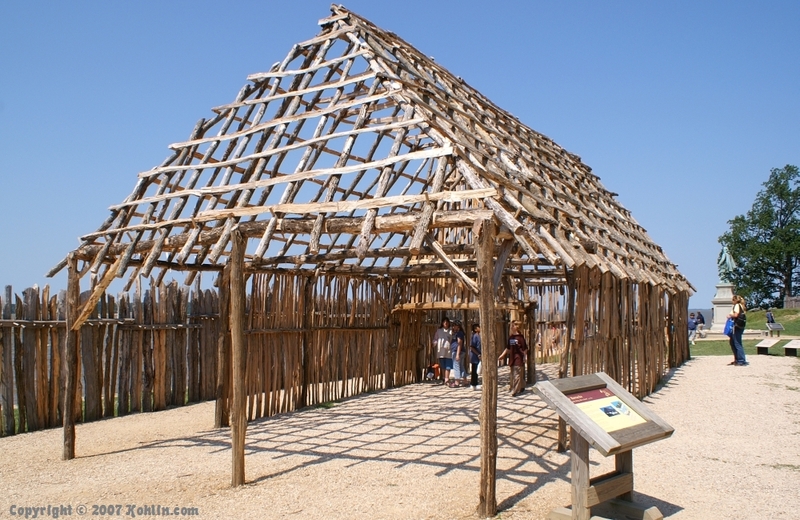 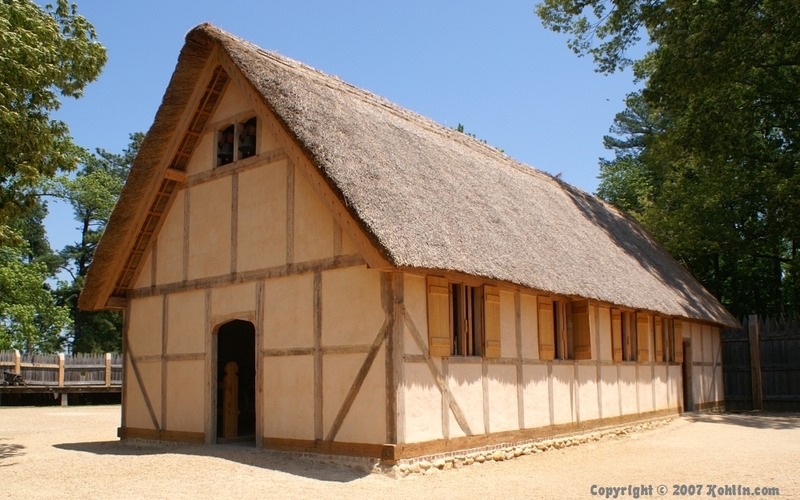 A replica of a large community building, built using methods common to the era. 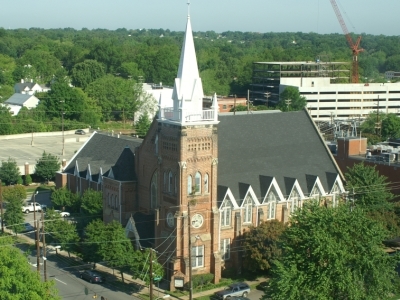 Created on May 11, 2007.